For the second day in a row, the sun has sent a blast of electrically charged particles toward Earth — and according to SpaceWeather.com, that means we're in for a double shot of geomagnetic activity early Saturday. But not to worry: The most noticeable effect of the twin M-class blasts should be heightened auroral displays. 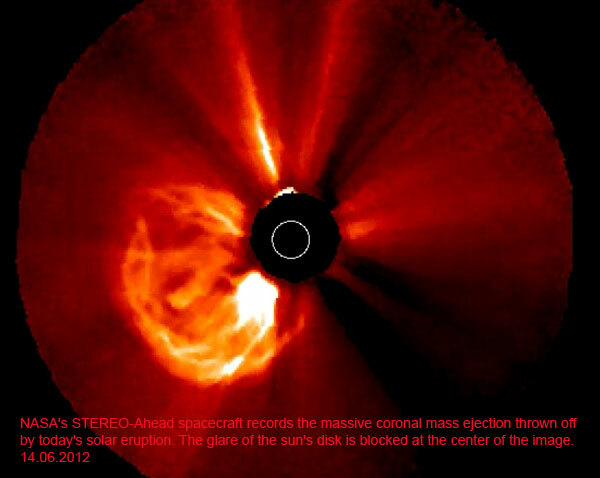 Both of the coronal mass eruptions, or CMEs, originated in a sunspot region known as AR1504, which is currently pointing in Earth's direction. AR1504 has been shooting off a series of flares in recent days, including an M1.2-class flare on Wednesday and an M1.5 today. None of the flares have approached the X-class level, which would have the potential for significant disruptions in power grids or satellite-based communication. SpaceWeather.com projects that the CMEs thrown off by those two flares will merge into one wave of particles that's due to hit Earth's magnetic field around 6:16 a.m. ET Saturday. 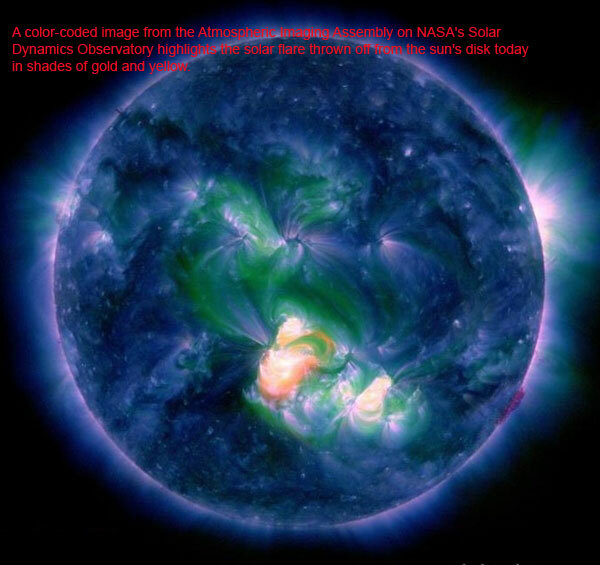 The National Oceanic and Atmospheric Administration's Space Weather Prediction Center, meanwhile, predicts that the CME will arrive "late on 16 June." The prediction center noted that today's flare sparked a minor radio blackout and "has the potential" to produce more such storms.